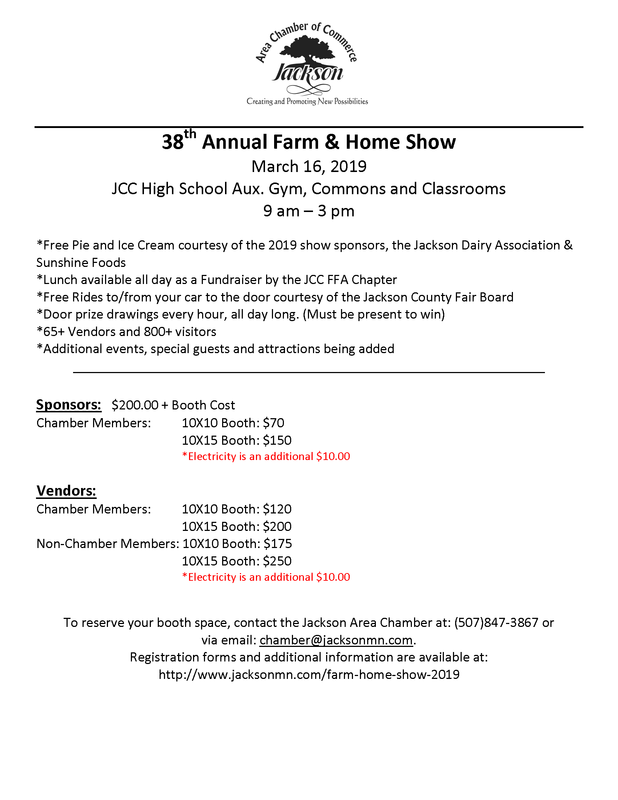 The Jackson Area Chamber of Commerce is looking forward to this year’s Farm & Home Show scheduled for Saturday, March 16th from 9:00 a.m. to 2:30 p.m. 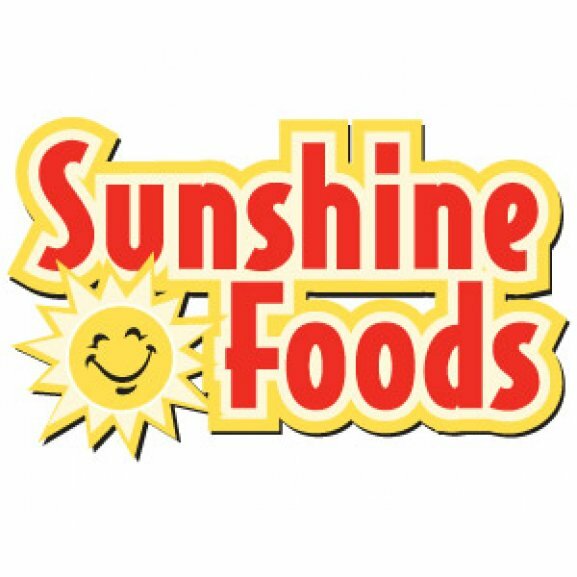 The show will be held at the JCC High School auxiliary gym and the commons area. Simply return the registration form (links below) along with your payment by February 22nd to confirm your booth space. We want to include all vendor names in promotion and advertising, so early registration helps. If you have any further questions, feel free to contact me at the Chamber office. We are here to assist you and look forward to another great event! 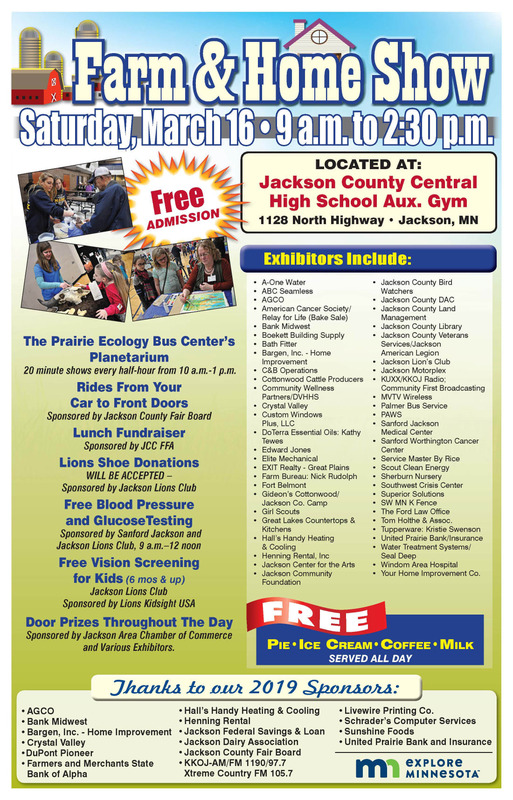 or chamber@jacksonmn.com to reserve your booth!